Ambrose. Charles Borromeo. Alfredo Schuster. Giovanni Montini. Milan has witnessed some of the greatest bishops in Church history. Of its bishops, two have been elected pope. Dozens of saints have sat in the cathedra of that great and historic diocese. And several have inspired some of the greatest reforms of Church history, from the conversion of St. Augustine (St. Ambrose) to the implementation of the Second Vatican Council (Pope Paul VI). Of those tireless reformers, we celebrate today the feast of one of the most prolific, St. Charles Borromeo. Born during the peak of the Protestant Reformation, Borromeo championed numerous reforms of the Catholic Church, including the establishment of seminaries to better prepare men for the priesthood. He challenged the many abuses prevalent among lay and clergy alike, often to the great annoyance and ire of powerful religious orders and social institutions. One cannot help but wonder what would have become the Christian Church if the reforms of Borromeo were implemented earlier. 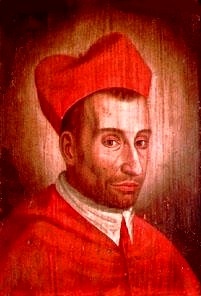 Although he championed what was later to be known as the Counter-Reformation, Borromeo had ended many of the abuses that Martin Luther and other Protestant reformers had called for years earlier, including those surrounding the selling of indulgences and the abuses related to the Liturgy. Although Borromeo and his ministry may seem strange to us, I suggest that his life and work might inspire the Church today. While many are critical of the recent synod in Rome, and the synodal process in general, we cannot forget that Borromeo held 11 synods in his diocese and six provincial councils to reform and renew the Church. Perhaps we ought to reflect, in our own time, on the need for the universal Church and the local churches to meet often to pray and discern God’s call to greater fidelity to the ministry and teaching of Jesus.